The Calgary Police service is, once again, urging Calgarians against leaving their cars idling in the morning while they’re not inside them. As a cold front swept into Calgary, temperatures plummeted to lower than -20°C, and cars were frozen where they sat overnight. 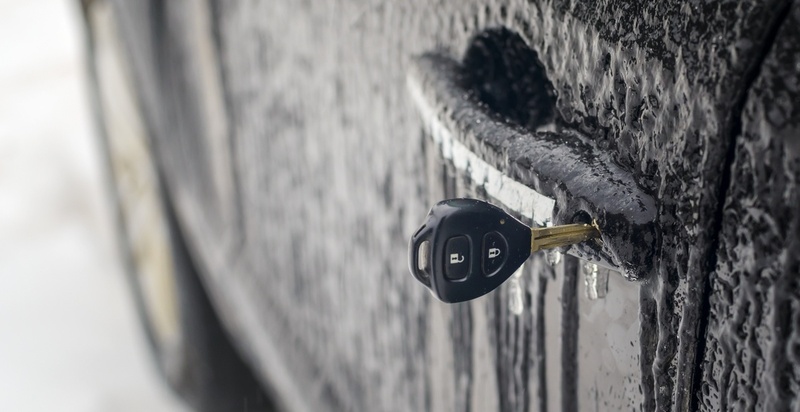 In an effort to warm them up before morning commutes, Calgarians have become notoriously bad for leaving keys in running cars and having car-jackers drive off in their half-thawed rides. The Calgary Police Service actually did a count on Tuesday morning of how many cars in the city were idling driverless between 6 and 8 am, and they found a total of 117 vehicles at risk of being stolen. 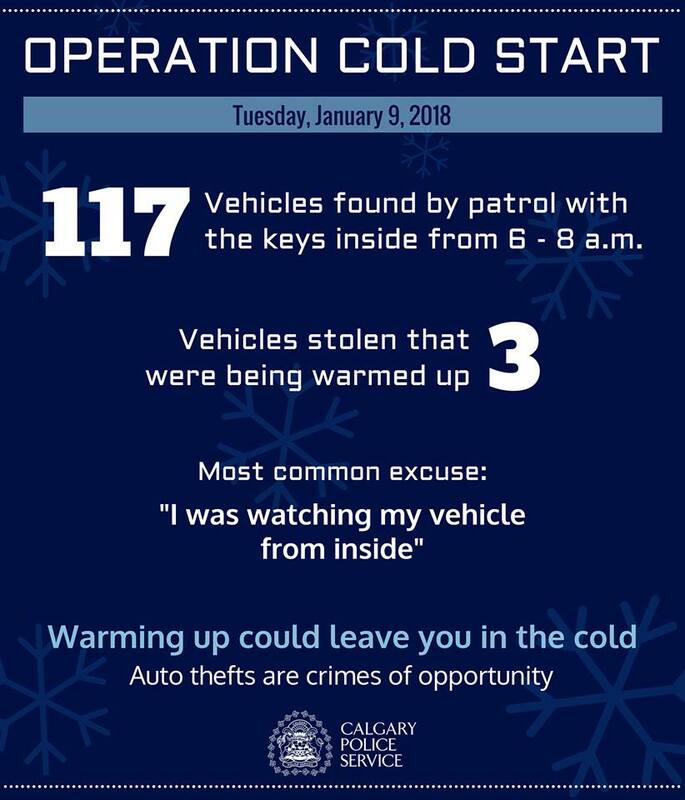 The count is part of the Service’s Operation Cold Start, which began on January 8 as a way to educate Calgarians about the dangers of leaving their running car unattended. According to police, there were 210 vehicles stolen in November and December of 2017 that had been left running. “I was watching my vehicle from inside,” was listed as the number one excuse residents made when asked why they left their car unattended as it warmed up, but police say that watching the car will do little if it is targeted. “If you’re watching your vehicle from inside the house you may be able to spot it driving away, but you likely won’t prevent the theft,” the Calgary Police Service said on their Facebook page. Police encourage residents to use a remote starter when possible and to leave their cars locked while they warm up. A steering wheel lock is also listed a good investment to deter thieves, and police warn to never leave keys, valuables, pets, or children unattended in a running vehicle – no matter what the temperature.